Koinonia Foster Homes was founded in California in 1982, and expanded to Nevada in 1994. With over 34 years serving children and families and 20 years of service in Nevada, Koinonia has proven time and again we are committed to being an important and integral part of our local Northern Nevada community. Koinonia provides Specialized Foster Care, provided by specialized foster parents, who are personally trained and supported by Koinonia Nevada. The children in our care require extra attention and services in order to reach their highest potential. Koinonia Nevada has a strong belief in honesty, ethics, and hard work. Our staff is on call 24/7. We support our foster parents with emotional and mental support, both in their homes and in the community. Koinonia is committed to providing top notch treatment level services to our families and children, and above all else, excellence in all we do. We are honored to have such an amazing community to serve. Koinonia in Northern Nevada offers both Day Treatment and After School Day Treatment. Day Treatment, established in 2001, serves younger children, ages 6 to 13. This Day Treatment, which includes the milieu of a school, serves children with a diagnosis of PTSD, many of whom have been sexualized or in other ways have experienced significant and complex trauma. After School Day Treatment, established in 2003, serves older youth, ages 12 to 18. These youth have tended to struggle in many other environments and yet they are now able to find success in the highly structured environment of After School Day Treatment. The hallmark of both programs is the use of evidence-based treatment models carried out by exceptionally engaged and committed staff. 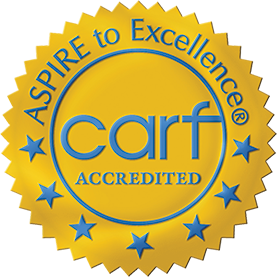 Both of our Day Treatment programs are well known for excellence and are highly acclaimed throughout our community, including Day Treatment having received the Child Abuse & Neglect Task Force Recognition Award in the category of Best Program. Click Here To Watch More Foster Parent Minute Videos! Click on a picture below to read our blog! Foster Care is taking a child, or maybe even more than one child, into your home. Koinonia serves “treatment” level children who tend to have been exposed to more severe trauma. Our children, due to the trauma they have experienced, require predictability and structure in the home to allow them to grow and thrive. Our mission in Nevada is to provide the highest quality Treatment Foster Care, Day Treatment, and Outpatient Services available for children, youth and their families whose special needs can be met through services delivered, supervised and supported by professional agency staff. You can partner with us by becoming a foster parent, making a donation, fund raising, or seeking employment. No matter how you partner with Koinonia Foster Homes & Family Services in Nevada, you will be making a difference in the lives of very special children in our local area. Must be financially self-supporting in accordance with state regulations. Complete a series of forms. Attend a 40-hour pre-licensure training program taught by the Koinonia staff. All adults in your home must be fingerprinted and obtain a criminal record clearance and a child abuse index clearance. Have a TB test, showing negative results. Obtain a general health clearance. Water Safety Training is necessary if there is a body of water such as a pool, spa or pond on the property, or if the children swim in an area where there is no lifeguard on duty. A current DMV printout showing proof of a valid Nevada driver’s license. Proof of homeowner’s or renter’s liability insurance. Home study evaluation and interviews completed with Koinonia staff. In 1994 Koinonia expanded to Nevada. Since then Koinonia has served the Nevada community helping over 1000 specialized foster children. In 2006 Koinonia Foster Homes changed our company name to Koinonia Family Services, to better represent the other services our agency provides. In Nevada, you may run into both names…”Koinonia Foster Homes” and “Koinonia Family Services,” as we want to be sure we keep the great need for foster homes in front of the public eye. In Nevada, Koinonia’s programs include “treatment level” Specialized Foster Care, Day Treatment, After School Day Treatment, and Outpatient Therapy. Serving over 20 years in the Nevada foster home community, Koinonia has served children in need of loving and dedicated foster homes. Our children have severe trauma including sexual abuse, physical abuse, neglect, and many times all of the above. Over the years, Koinonia has grown and now offers many services to children, youth and their families. We work in cooperation with the State and County Child Welfare agencies. The Child Welfare agencies (DCFS in rural Nevada and WCDSS in Washoe County) refer children who qualify for treatment level Specialized Foster Care to private providers like Koinonia for placement in a program that will best meet their needs. When Koinonia receives a call for placement of a child, our staff and the placing agency assess their needs to determine the most appropriate specialized foster home or treatment program. When a child is placed in a Koinonia home, the family receives monthly financial reimbursement for the care of the child, 24-hour support services by clinical and casework staff, ongoing specialized training, and support for the child’s mental health, emotional, and physical needs. The length of time children live in a foster home can vary from short-term, up to six months, to long term, up to several years. Sometimes our foster parents even end up adopting the foster children who have been living with them. Koinonia is here to support foster parents, the children who live with them, and the teams who serve the children. We work hard to be the best support we can be so foster families can make their best difference in the lives of these most vulnerable children. When becoming a Specialized Foster Parent with Koinonia, you are required to meet all the requirements as well as 40 hours of in-house training with our highly trained staff. Ready to take the first steps in the process? You’ve done some research and some thinking, now it’s time to take those first steps. First, start off with giving us a call at 775-826-1113, speak with Angele, our Foster Parent Recruiter; she’ll be able to answer any questions you have. Once you’ve spoken with our Foster Parent Recruiter and you feel ready to take the next step, we will schedule an official interview with our Nevada Clinical Director. Once you finished with the interviewing process, and have been determined to be a good match with Koinonia, we will start the process of getting you through the required 40 hours of pre-licensure training. During the 40 hour training process, you will learn the resources and skills needed to safely foster a child. Once you’ve completed the state required 40 hours of training as well as the background checks, home studies and paper work, you’ll be ready to start fostering specialized foster children…changing their lives and our world one child at a time! In 2001, the State of Nevada asked Koinonia to start a Day Treatment program. Day Treatment’s goal was, and continues to be, to create a strong therapeutic environment to facilitate each child’s mental health healing in a daily structured setting. Both of our Day Treatment programs have been recognized for their excellence and are highly regarded in our community for the outstanding services they are able to provide to highly vulnerable youth and children. Koinonia’s After School Day Treatment Program is a therapeutic program serving children ages 12 to 18 who have experienced severe trauma. Its purpose is to help integrate its youth back into the community as independent and successful members of society. The program’s clients are offered specialized therapeutic services, including group, individual, and family therapy to help with behaviors and difficulties consistent with trauma, ADHD, attachment, mood, and behavioral disorders, as well as behaviors and traits associated with personality disorders. The program emphasizes emotional, cognitive, and behavioral management, teaching skills such as recognizing trauma triggers, understanding emotional distress, identifying thinking errors and replacing them with truth statements, practicing mindfulness, and replacing negative behaviors with positive behaviors. The social setting of After School Day Treatment provides empathy training as an integral part of the After School Day Treatment Program; this allows clients to view modeling of empathy as well as develop and practice empathy, as they are given clear and frequent feedback on a daily basis. The program provides the best therapeutic environment to ensure change and therapeutic progress within each of its clients. The After School Day Treatment Program operates on a point and level system, which gives the youth a clear definition of desired and undesired behaviors. Part of what makes the After School Day Treatment Program successful is that parents participate in the child’s progress as well; not only do the youth receive feedback in the program, but their parents use the point system at home, providing consistency and reinforcement for each client. In addition to therapeutic services, behavioral training and reinforcement, clients are also taught life skills such as age-appropriate grooming, self-responsibility, job skills, and educational skills. Clients are also provided recreational therapy opportunities which enhance perseverance, cooperation, team work, and resilience. All of these things combine to create a therapeutic environment which allows the youth to grow into thriving young adults. Koinonia’s Day Treatment Program is a program set in the milieu of a state-licensed school for children ages 6 to 13 who have experienced chronic interpersonal trauma, especially sexual and/or physical abuse. The students in the program attend academic classes taught by licensed teachers and receive therapeutic services and feedback throughout the day. The purpose of the program is to nurture children who suffer from PTSD back to a healthy mental state. Along with their academic classes, the students in this Day Treatment Program receive a combination of group, individual, and family therapy, and are offered day treatment services that address emotional, cognitive, and behavioral issues. The students’ caregivers are also involved in the program and are kept well-informed of the therapeutic topics addressed in school so they can play an active role in the children’s progress. The Day Treatment Program operates on a point and level system, which gives the students a clear definition of desired and undesired behaviors. Part of what makes the Day Treatment Program successful is the caregivers’ participation in the child’s progress; not only do the youth receive feedback while in the program, but they also receive feedback at home, which provides consistency and reinforcement for their behaviors. In addition to therapeutic services, behavioral training and reinforcement, students are also taught life skills such as age-appropriate grooming, self-responsibility, job skills, and educational skills. They are also provided recreational therapy opportunities which enhance perseverance, cooperation, team work, and resilience. All of these things combine to create a therapeutic environment which allows the youth to grow into thriving young adults. Listen to the Radio Interview! What is Koinonia’s official and unofficial mission statement? What is the history of Koinonia Foster Homes? Sandy: Koinonia was originally founded in California 34 years ago and we’ve been in Nevada for 22 years. Our original executive director for the agency was a foster parent herself, Miriam Golden. She was a foster parent for 27 years. Over those 27 years, she served 36 children in care. She was so good at what she did, Placer County came to her and asked if she would start an agency. This was back in the 80’s when [specialized foster care] agencies didn’t even exist, and so she was one of the industry designers of all the things that happen in treatment level foster care. They were so good at taking the hardest children; this whole design of how an agency works is now a national model. Gradually, we came into Nevada; Nevada did invite us in—Koinonia specifically, to start doing what we do here in Nevada. What’s unusual about Koinonia is, the average length of time for a person to be a foster parent is one year; in Koinonia we have parents, for the 34 years in California and the 22 years in Nevada, who have been with us the entire time. What is Sandy’s and Angela’s History with Koinonia Foster Homes? Sandy: I am super excited to say I just had my 20th anniversary, and that was a huge deal to me. I don’t know why it was so important, but there was something about that marker that I wanted to reach, and I was super teary for probably 2 months and definitely the week of my anniversary. They were all very gracious in allowing me to go over the story over and over again. But I had a background in working with children and I had worked at another agency that was similar as far as providing family service-type programs to kids, and I actually had a background in youth ministry. So I was a natural fit for what Koinonia was doing, and I am also a licensed marriage and family therapist. That’s how I landed here; when I was hired, I expected to stay for one year. That was back in a generation when people actually stayed, you know that was the thing; so I remember talking to my dad and saying, “I’ll stay at least a year,” because I had a different vision for my life; I thought I was going to be a marriage and family therapist in private practice, and here I am twenty years later. Angela: So I’ve been with Koinonia for over eight and a half years which I’m excited about. It does feel like a big deal to be somewhere for so long, and it’s really been my main professional job. I’ve always loved working with children as well, and I’ve always been called to service. My degree was in political science which is very interesting, but fitting in a lot of ways. I actually came to Koinonia through working with children; I did direct services with children. The home I worked under was actually with a different agency. They wanted to move over quickly to Koinonia and because the relationship was so strong and I loved them, and they loved me, Sandy actually let us come over too—the staff that was in their home. So the story of how I got to Koinonia was pretty special, and it mirrors how we do things with relationship and honor and connections. So it’s a pretty cool story; I followed the kids to Koinonia and that’s basically what happened with me. What services does Koinonia provide? What sets Koinonia apart from other agencies? Sandy: Koinonia, when you look at our name, is “Foster Homes and Family Services.” Our original calling, and really the core of the business is treatment level foster care. In addition to that on the family services side, we have day treatments that specialize with children who have mental health issues and needs, and we also have a psychiatric clinic and an outpatient clinic. So we have a broad range of services for people that they can come into the agency and receive all of their mental health services within the same agency. We feel that what really makes us different is the relationships. When people come to Koinonia, they don’t tend to leave. Even staff will tell us, about two weeks after their hired, they say, “I’ve never worked in a place like this. It’s just a different environment, where we take the relationships very seriously, and we take the family relationship, the idea of being a family, that we’re here together; one thing we say to each other on a regular basis is “what was our agreement?” You know, what did I say? If I forget something that I’ve made an agreement on, Angela can say to me, “this was the agreement,” oh, that was my agreement, okay, that’s exactly what we’re going to do. And that’s exactly what we do with foster parents, that’s what we do with staff, that’s what we do with the children we serve. How does the foster system work? What levels of foster care are there? Sandy: There are actually levels of care in foster care; there is family foster care and there’s what’s called treatment-level foster care, which is now called specialized foster care. There’s three regions of foster care in Nevada; there’s rural Nevada, there’s Washoe County, and Clark County. Koinonia is in both rural Nevada and Washoe County. If you want to work in what’s called family foster care, you would be going directly with DCFS or Washoe County; and the support they offer is just a different type of support because we’re in the home every week, and we’re all tied to 24/7 cell phones, and that’s a relationship. We’re talking to most of our foster parents every single day, some of them three or four times a day because they’re dealing with children who have complex needs. When the state or county determines where children go, there is an assessment they go through to try to determine if they really are better served in family foster care because they have less significant mental health needs; then the perfect situation is they’ll go into that kind of home. Then the other part of the perfect situation is if there’s enough treatment level beds—and that’s where the shortage is—then children who have more complex needs would be referred to an agency like ours and live in a treatment-level foster home. What does treatment level foster care mean? Sandy: What makes [treatment level foster care] different is the amount of training and the amount of support that the agency provides for the rest of the relationship with the foster parent and the agency. It’s very specific care in regard to trauma and mental health needs and issues, and so the training is very specific now in terms of curriculums that we are now using that are so specific to trauma-informed care and making sure the kids are getting all their needs met within the home. What do I need to be a foster parent? How do I know if I’m a good fit to be a foster parent? Sandy: The very cool thing is you don’t have to have it all now. It’s a process of going through a very long conversation with Koinonia. To come in to be a foster parent, I have people on my staff that would have an original conversation with you. But ultimately before you ever selected to be a foster parent with Koinonia, there’s a mutual agreement between you and me where we sit down together and decide if it’s a good fit. Then from there, there’s a six month relationship, sometimes it’s four, sometimes it’s twelve, frankly it has a lot to do with the parents and how quickly they move, but that forty hours of pre-service training where we’re just getting to know each other. One of the things we find that’s most important in working with people to decide if they’re good foster parents is really their ability to accept feedback. Are people open to new ideas? Are they open to training? Are they open to being open? To having this relationship because if you don’t want to be in relationship, Koinonia’s not the agency for you. It’s about knowing what’s in your heart before you ever get there because I can train you on the rest of it. If you have a calling and get that nudge to pick up that phone and talk to us, you’re already on the right track. What have the kids been through and what does their past and current journey look like? Angela: Most of our kids, all of our kids, have experienced significant trauma just by being taken away from their biological parents. Even though that environment may not have been healthy for them it’s still a huge trauma, so there’s a severed relationship right there. Within that home, a lot of our kids experience neglect, physical abuse, sexual abuse, emotional abuse. So when they come to us which is usually months after they’ve been in the system, they’ve had so much to deal with already. So that’s their pre-treatment-level placement life, and then once they’re placed, they have to adjust to a whole new way of life, a whole new way of structure, a new family, other children in the home; they’re actually under quite a bit of pressure and stress just within that new environment in which they live. Then on a day-to-day basis, our kiddos do a lot of work; they do a lot of therapeutic work on a daily basis in the home and with external services; all of our kids go to therapy, all of our kids see psychiatrists generally, a lot of our kids are in specialized programs that Sandy mentioned earlier, in regard to some of the programs Koinonia offers. So they work really hard, and they’re expected to build relationship because that’s what we foster and that’s what makes them successful is their relationship with their foster home. It’s a big journey that they have, and it’s amazing to see our parents support them in that journey and really love them too. Sandy: Ultimately, [the goal of foster care is] that [kids are] safe while they’re with us and then permanency comes in a lot of different ways. Permanency is not necessarily returning to their own home; it might be returning to home, it might be a relative, it might be a neighbor or a teacher or a friend, or it might be an adoption. The adoptions are not going to be nearly as high as other forms of permanency, and then the third part of the three-legged stool, safety, permanency and well-being. So this whole idea that kids are living, especially in a place like Koinonia, our philosophy and certainly my philosophy as the director of the agency, is I want kids to feel like they’re living in a home with a family, even though they’re in treatment level care, that it doesn’t feel like a program or a facility. It’s super important that kids have a home and a place that they think is theirs and that they can live there for as long as they need to live there, and we see that across our agency. What are some of the rewarding experiences Sandy and Angela have experienced? Angela: I think we’ve seen tremendous amounts of healing for our children; that’s what I think would be the end goal really for our foster kids is to experience the healing, and that I think happens through their connection with their family and whoever lives in the foster family. I think that is about matching; so the successes I see is when we are able to match a kiddo who’s coming from the shelter to a home that we know very well; we know their strengths, and then we just see this relationship flourish. So we’ve seen many, many, many examples of kids attaching and settling into homes. I think the change we see through that is really rewarding. Sandy: For me, it’s every day. It’s not just the great things that happen with kids, it’s the great things that happen with parents who are transformed; when their lives are transformed working with kids. Like in the pre-service process, you see the lightbulb go on. There’s research that shows that if a child has one person who has one gleam in their eye for the child, that child will make it. That’s what we want to see, and that’s what we have as staff. Angela is a great example; we have children who are no longer with us that she still sees informally because she formed relationships when they were in foster care and some of them are over 18 now. They come into our offices; they come and check in and get a drink of water, and they show up out of nowhere and here they are. So our lives are transformed too as staff. The foster parents’ lives are transformed. Angela talked about that calling to service; that’s the kind of person who is attracted to Koinonia and when you have a sense of meaning, a sense of calling, that’s the rewarding part for me because it’s that we’re all in this together and we’re here to love children, but we’re here to love each other as well. That community focus makes a difference in how we are able to live our lives. What is the current need for foster parents in Northern Nevada? What happens when there aren’t any more places for the kids? Sandy: It’s through the roof. Right now there is approximately 950 children in foster care in Washoe County. That number had actually gone all the way down to 600, and gradually the number has gone back up over the years, and they’re not entirely sure with a clear analysis of why that’s happening. Washoe County is the expert, and if they were sitting with you today I’m sure they would give a better answer than I can give, but what we know is that the need is so great that we can’t even begin to provide the number of homes and beds that we need for children. So what is happening when we don’t have enough room? Where are those kids? Sandy: Well, some of those children are in Kids Kottage. That’s the first place a child ends up after they’ve been pulled from their biological family or some other unsafe environment. Kids Kottage by law has an absolute maximum of where those kids can go, and it’s 80. If it goes above that, they have to scramble to find a bed anywhere in the system they can. So you might see a child who needs treatment level services but is in a family level foster home. The county scrambles, and frankly the county does an amazing job. Koinonia, what we do is spend our time recruiting homes, but not everybody is a good match for us, and we want to make sure we have good matches because that’s super important. Angela talked about that before, that it’s not about just finding a bed for a child, it’s finding the right bed for that child so that we don‘t have another disruption, another move for that child. The research is really clear about that: every time there’s a disruption, if a child has to move to another school, for example, that child loses nine months of academics by moving. So we really want to see stability in homes for kids, and we take that very seriously and keep it nice and calm. How is Koinonia Foster Homes funded? What financially do the foster parents receive? How is health care for the child provided? Our contract is through DCFS and Washoe County, and we have a contracted rate they pay us back; we do work on fundraising, and some of that money trickles down through the federal government and to the state and then down to the county. What type of support are our foster parents receiving from the state? For each family, regardless of whether they’re with the state or Koinonia or the county, there’s a reimbursement. It’s considered a reimbursement, and there are different rates for each level of care; ultimately it covers everything the child would need: the clothing, the food, transportation, shelter, incidentals, and really I think there’s a fair rate that’s being paid to families. Then if necessary, if there’s other needs necessary for children, we go out and we look for other funds to help with those kids of things as well. How is health care being provided? All of our kids in foster care receive Medicaid, and frankly, it’s amazing insurance. The things the kids get through the Medicaid system will blow your mind. How do we get started fostering with Koinonia Foster Homes? How does the training work? Pre-training and post-training? Call our office, Koinonia, 826-1113, and let us k now you want to be a foster parent, and one of us will take that call and start that conversation with you. Pre-service training is less if you go with the state or the county than if you go with a treatment-level agency, but not a lot less; it’s the difference between 27 hours and 40 hours. The reason we don’t do it quickly is because we want that information to ingest. More than the information being ingested, it’s the relationship we’re building. The research is really clear that you remember about 10% of what you hear and 90% of what you say, so we spend a lot of time in conversation in pre-service training and even after, when you’re in post-service because it’s hard to remember all the things you learn in training. A lot of it happens after the placement of your first child and then we go back and say, “Do you remember when we talked about this?” or “Do you remember when we talked about that?” It’s a learning process as you go. Is there a limit to how many kids we can foster? Usually we like to see new families with one or two children in the home, but I have families who have way more than that in their homes. They have experience, they might be a sibling group, and again, that’s an individual conversation with every family; it’s based on the configuration of their family, the children they might already have in the home, their bed space as far as bedrooms and square footage in the home. There’s a lot of factors in that because ultimately, you’re not only looking for a safe placement, you’re looking for a great placement. What are some of the requirements for me to become a foster parent? Do I need to have a job? Do I need to be married? You don’t have to be married. Ultimately you are supposed to have an income coming into your home that’s not just the foster income, and again, that’s a conversation with people. We have people who are single but have a little side business. Not everyone works out of the home, and in fact a lot of our parents don’t work, but there might be a second partner in the home. Do you have to have a certain size home? Sandy: Yes, it’s 200 square feet per person. They’ve taken that out of the [regulations] and so that’s kind of like a guideline; it used to be a law, but now it’s a guideline. What makes Koinonia so successful? Sandy: [The thing that’s making the difference is] absolutely the relationships we create with people; the word “Koinonia” actually means to be in relationship with people, and I think that’s what makes Koinonia different from any other agency. We have other colleagues in the community and we respect everybody’s work, but Koinonia looks at things differently from how other agencies are manifesting their business. So we can provide technical support to parents, but ultimately it’s the emotional support that people get that puts them in relationship; people get to know you, they like you, they trust you, that’s how a relationship is built—that long-term relationship. We’re on call 24/7, they know we’re on call 24/7. It takes a long time to even be licensed as a foster parent; by the time they’re licensed, they’ve had a long-term relationship with us. It takes maybe six months or more, and we really know families, and they really know us. I see a kfh.org and a kfhnv.org why are there two websites? Sandy: We’re actually doing our own Nevada website right now, and that’s khfnv.org, because things are a little different in California and people get a little bit confused. So we’re trying to develop a website [for Koinonia Nevada], and that’s where that second one comes from. #FosterParentMinute aired every Tuesday and Thursday in August, 2016. The 10 videos reached over 11,000 people! Thank you again to everyone who liked, commented, and shared! These are the episodes that never aired on our Facebook page. Enjoy!